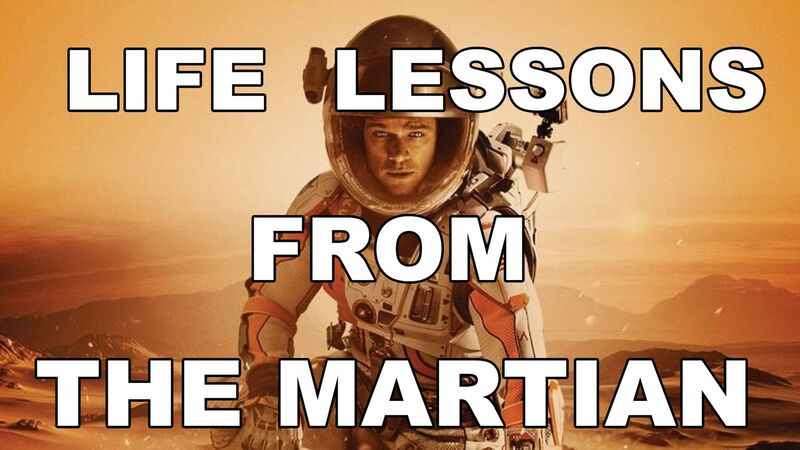 Recently saw ‘The Martian’. This and ‘Apollo 13’ are two of my most favorite movies of all time. ‘The Martian’ obviously has a lot of very real, relevant science (math, physics, botony), and engineering (mechanical, electrical, electronics). The author of the book upon which the movie is based, Andy Weir, a software engineer actually coded the trajectory simulation that is shown in the movie. 1. Work Ethic, Dedication – The goofy but brilliant kid (my favorite character by the way) that comes up with the solution to the problem – works, sleeps, eats at his office. For him it is not just a job, it is a mission ! How can we show that kind of passion and dedication in what we do ? 2. Teamwork – The entire mission crew, the ground control team at NASA, the team at the strategic partner JPL – they come together to solve a problem, putting aside their personal prejudices and feelings. 3. Creativity – Not all problems need complex solutions. The way Matt Damon fixes his helmet with duct-tape and how NASA suggests the best way to make an opening on the top of the launch vehicle is to hit it with a hammer are examples. Seemingly complex problems might have simple, creative solutions. 4. Ideas vs Experience – Great, powerful ideas can come from anyone – a junior level scientist like the goofy kid. Not all ideas have to come from ‘experience’. 5. Leadership – Lead by example , take charge, engage – like the flight commander did when she said she was going to go and pick up Matt herself. 6. Consensus building & Unity – Get opinions and take a decision – the commander takes everyone’s opinion and then makes the decision about going back to Mars to pick up Matt. 7. Loyalty – The team members are loyal to each other, care for and support each other, and they are loyal to the leadership and the larger mission / purpose. 9. Responsibility – Each of the team member knows his / her specific responsibility and executes on it . 10. Mission before self – Several times in the movie they have to make decisions – individual and team decisions and they always put the mission and the team ahead of self. Families are important but they are not made only of blood but out of work and mission too!. Work and Life are not necessarily different, they are one and the same! For us, building great products and bringing value to our customers is a mission. 11. Organized dissent – When people have different ideas, they express it, the team has an honest discussion on the ideas and then the leader makes a calculated decision. 13. Respect for authority, protocol – There are a number of scenes where we see the need for respect for protocol and authority comes into play in making decisions and taking action. Powerful teams have a healthy balance of allowing freedom of thought and expression while maintaining a sense of order. 14. ‘Ego-lessness’ – Another beautiful aspect of the movie is there is no display of ego among a lot of very smart people ; there is no place for it. In the scene where the kid explains the trajectory to the bosses in an excited manner NASA chief dismisses him first and then asks his team, ‘is the kid correct ‘? 15. Education – When everything is over and the guys are back safe on earth, what does Matt decide to do, when he could have had a lot of options as a celebrity, make money etc ? He decides to teach, become a NASA instructor, spread the knowledge, and impact others in a positive manner. Spread knowledge among team members, look for opportunities to train, teach others and create impact. 16. Focus – They have a steadfast focus on the mission. It is simple, clear and creates a strong sense of determination. 17. Speed – For the objective to get accomplished, speed of execution in various sub-tasks is critical. There is a scene where the NASA chief calculates how various tasks need to get done in a certain number of hours and how we need to look for ways to get things done faster. It is super-critical to be super-agile in today’s world. 18. Project planning and execution – A number of things have to happen in a systematic, coordinated manner. Yes tools and processes are important, but it is the discipline of planning and execution that is most important. 19. Deadlines – if you don’t get things done within a certain amount of time, you are literally ‘dead’. There are things that just need to get done within a certain amount of time. There are no options. Lesson – “GET IT DONE”. 20. Completing things – you can’t ‘almost reach Earth’ . Either you reach Earth back or you don’t. Otherwise you get lost in space. There is no such thing as ‘almost done’. Things are either ‘done’ or ‘not done’! 21. Finally ‘Failure is not an option.’ – this is actually a quote from ‘Apollo 13’ . They HAD to come up with a way to solve the problem, whatever they had to do! 22. Diverse workforce, international cooperation – there is a woman spaceship commander, black and Asian scientists and the Chinese space agency comes in to help! Of course these aspects of the movie were chosen to create a dramatic impact but these are increasingly relevant in today’s world. All in all, great movie we can learn from for motivation !